Im wondering, is this good or really bad scoring for 1440p ? Try disabling your intel HD graphics. I did and same thing. Even had a bit lower score What's else i could do ? 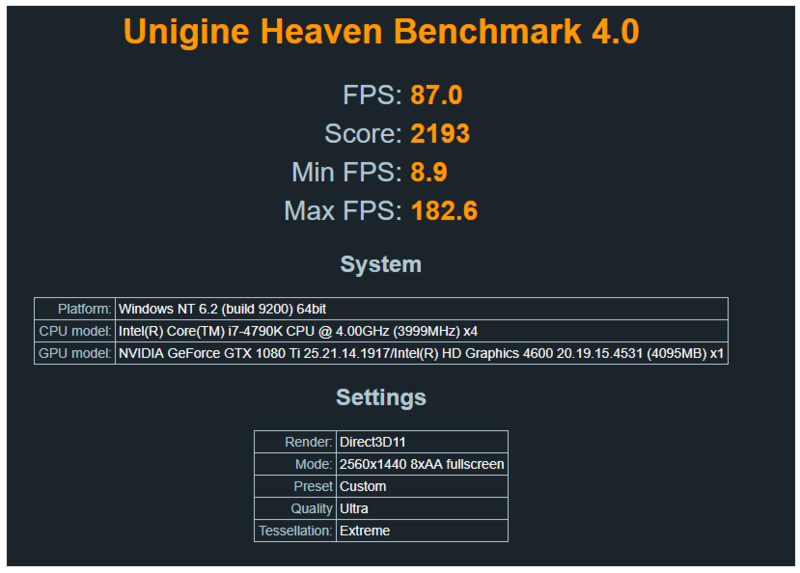 Looking at other people's benchmarks that actually seems like a good score for your hardware Can you post a screenshot of you heaven score at 1080p? I would use a newer test like superposition or timespy to benchmark tho. Oh btw you can reenable the onboard GPU again. Yeh that is a great score, If you want to compare benchmarks more thoroughly i'd suggest installing the 3d mark demo off steam. I use it all the time to see if my GPU is performing as well as other peoples. 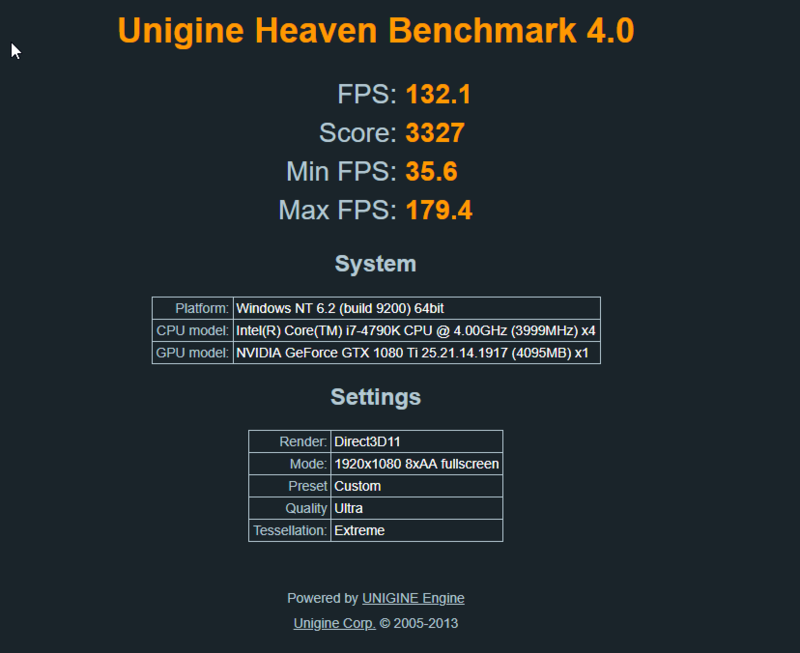 If you want to improve your score further you should look into overclocking your GPU and CPU. Question PC freezing w/ Buzzing noise from speakers during Heaven Benchmark but stable during furmark test. Question Low FPS with GTX 1070 FE? Question Used RX 480 Asus 4GB Dual Heaven Benchmark good? Question Why does my NVIDIA GTX 1050 Ti get so hot during the Heaven benchmark? So my GPU past Heaven Benchmark's but crashes in Doom 2016...why ?